Glenn became the pastor of Mt. Pleasant in November, 2002. This is the first church he has ever served as pastor. His heart’s desire is to love all people as Christ loves him - unconditionally. One of Glenn’s favorite bible verses is John 3:17 - “For God did not send His Son into the world to condemn the world; but that the world through Him might be saved.” He has a passion for reaching people for Christ locally and throughout the world. On the local level, Glenn is a community-minded pastor who is active with ministries in Gordo and Pickens County. On a wider scale, he has led his church on several mission trips to Kentucky, Ohio, Alabama, and Brazil. He also has the privilege of being a teacher for the Samford Ministry Teaching Institute, serving in the Aliceville Federal Prison for Women. Glenn has been married to Marti since 1987 and has two adult children, Madison and Caleb. In his free time, Glenn enjoys playing golf and racquetball. 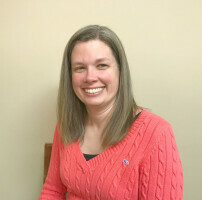 Jennifer began serving as secretary of MPBC in 2012. She received her elementary education degree from Judson College in 2001 but after a few years of teaching she became a stay-at-home mom. Jennifer is involved in many ministries of the Church as well as a business out of her home. She and her husband Guy have 3 great children, Connor, Kathryn, and Camden that keep them quite busy. Jennifer is really not sure what free time is? 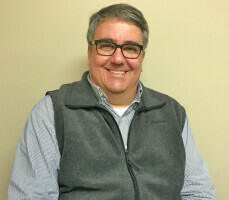 Keith began bi-vocationally leading worship at MPBC around 1980, while pursuing a degree in Computer Science at the University of Alabama. 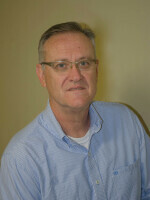 He has worked in the Information Systems field until very recently. Keith's music education consists of a few months of piano in high school and many years of learning by experience in solo, ensemble, and choir. But he says more valuable than these has been his marriage of over 30 years to his wife Deborah, a music education major, piano teacher, constant accompanist, partner and the mother of their 3 wonderful children, Daniel, Lauren, and Sarah Rebekah. They were recently blessed with their first grandchild, Davis, born to Daniel and his wife Kim. Keith says in his case, God definitely did not call the equipped but instead is equipping the called as he has tried to make himself available in His service. For Keith, MPBC has been a great place in which to grow up physically and spiritually because this church is truly a family of believers sharing each other’s burdens and working together in ministry for the cause of Christ. He and his family feel very blessed to have been associated with MPBC through the years. Deborah grew up in church and accepted Christ at the age of 12. She has been an active member of MPBC since 1983 and has served in many areas over the years. Deborah first joined the MPBC staff as the church pianist in the late 80’s and still enjoys serving in that capacity today alongside her husband Keith, who serves as Worship Leader. In 2006, God opened a new door of ministry for Deborah, and Mt Pleasant as well, when she began serving as Children’s Ministry Coordinator. She has a heart for encouraging children and their families to find and grow in a personal relationship with Jesus Christ. Deborah earned her Bachelor of Science degree in Music Education from the University of Alabama in 1982. In addition to serving on MPBC staff, she also teaches piano. When she's not working, Deborah enjoys DIY projects and spending time with Keith, their 3 adult children & new grandson Davis.